I told myself that I would build a gaming/productivity machine as a reward for finishing grad school. So, after many years of patiently waiting, here it is. Dark Horse. Silent and deadly. CPU: I wanted something that can handle AAA games. While there are plenty that can do this (for much less), I wanted to get full 40 PCI lanes for future expansion. The 5960x was far too expensive for me (not to mention the price/performance ratio doesn't justify the cost) but the 5930K is just right. 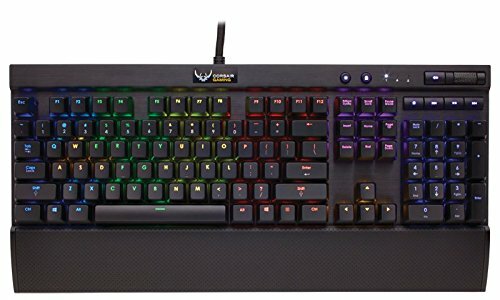 Motherboard: I fell in love with the R5E as soon as I laid my eyes on it. It had all the right features for me and the location of the fan headers were an added bonus. 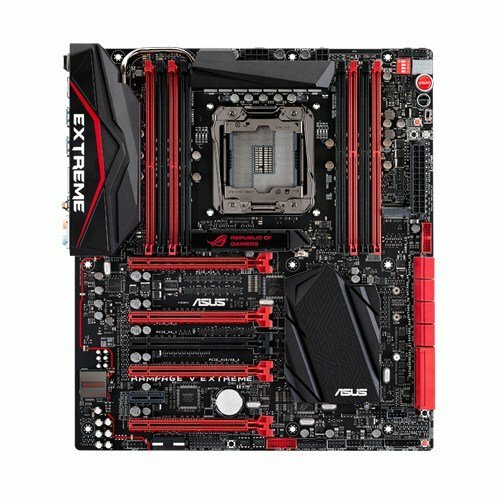 Since the motherboard is the heart of any system, I was willing to spend a bit more to get a top notch motherboard. I was not disappointed. 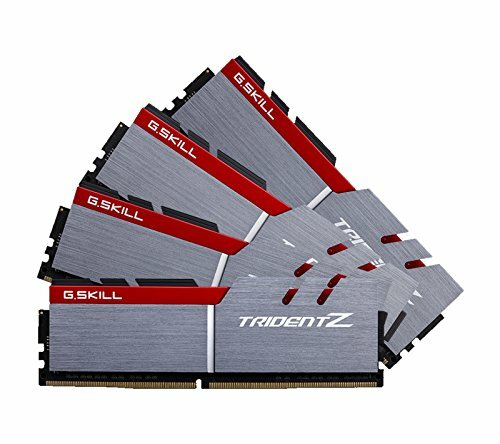 Memory: OK, so I bought the TridentZ only because of looks. I mean, just look at it! It's gorgeous. Storage: Unlike most people, I wasn't concerned about adding gobs of storage space on my PC. I have a 12TB Drobo (NAS) where I store all my media, documents and backups and a gigabit wired network throughout my home. However, I wanted to get something that would be fast without occupying too much space. The Samsung is a thing of beauty and its performance is unparalleled (for now!). Video Card: The 980Ti is the graphics card to beat for price/performance. For me, one of the biggest concerns was acoustics. So I wanted to get a hybrid that would help with the GPU boost and at the same time keep noise levels low. Overclocking is good but I wasn't willing to sacrifice noise for overclocking capability. 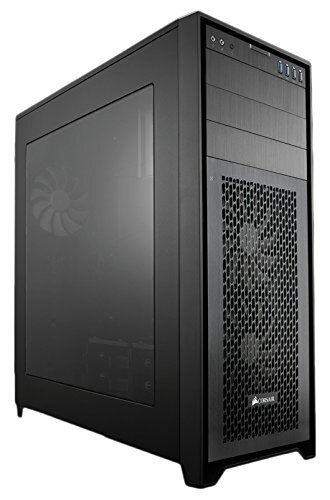 Case: The Corsair 750D (which I was considering at first) was perfect in terms of fitting in my den but I was always concerned about the lack of proper ventilation. When the 750D Airflow edition came out, there was no question, this was the one for me. It has plenty of room for future expansion and the side window panel was located perfectly for my setup. Power Supply: EVGA power supplies (especially the P2) were very highly rated. 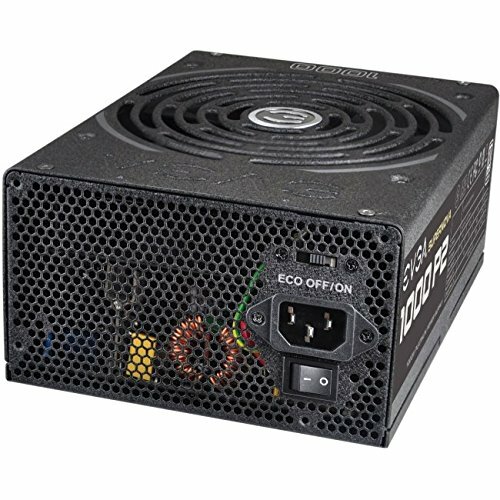 Yes, 1000W is overkill for my current setup but I am planning to add a second graphics card in the future (if the wife allows!) so some future proofing is in play here. Case Fans: As mentioned earlier, acoustics was a key build principle. When it comes to fan noise, nothing beats a Noctua (though the EK Vardars are equally good these days). And I wasn't disappointed. After tuning the fans through the Asus software and setting up the right profile, all three fans are deadly silent. Monitor: Mother of gaming gods... this thing is a stunner! I overclocked it to 100Hz and the thing is buttery smooth in games and Windows. Games that support this resolution are absolutely gorgeous and immersive. The colors are bright and sharp. 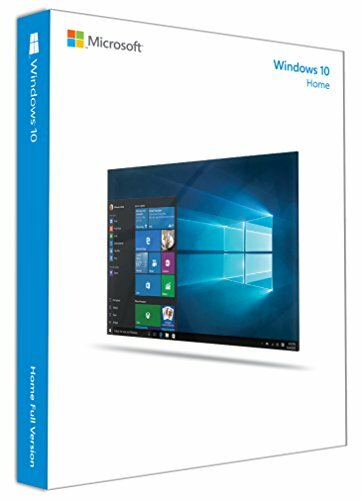 Windows runs natively at this resolution and the real estate on the screen is very much appreciated. Absolutely no regrets on this purchase. CPU Cooler: I went with the EK Predator 240 AIO. What an amazing cooler! The fans are super quiet (comparable to the Noctua) and the cooler itself is solidly built. I was concerned about fitting it into the case but as it turns out, it fits perfectly. I still have to clean up some of the cable management around my den but for now, I'm just admiring and enjoying the base system! Once the initial euphoria dies, I will look into overclocking this beast and pushing it to its limits! Awesome build and congrats on finishing grad school. I've actually been been doing something similar, upgrading components of my build after every semester. Working on my tower is great stress relief. Oh glorious! 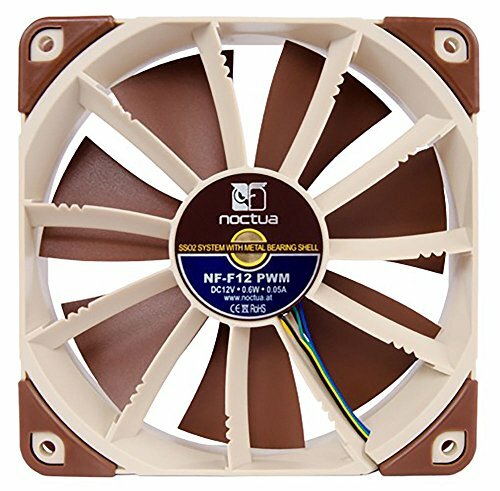 You do know there is a black noctua fans equally quiet. I think Linus did something similar. The hard part is of course trying to get into the nooks and crannies and making sure that the paint job looks professional. I certainly didn't have those skills so I stuck with the tan ones. I think you're referring to the Industrial PPC line from Noctua. Those have higher RPMs so they will definitely make more noise. I was looking at those but the higher noise was a deal breaker for me. That being said, they do have PWM version so you might be able to tune it in your fan control software. There are IP67 versions as well but you're really paying a lot more for dust and water protection. Unless you're doing a very exotic build, I don't think it's worth paying that much more, in my opinion. No- the Redux line is gray/black. 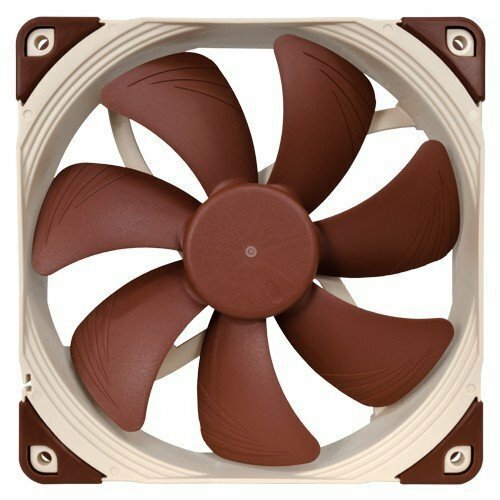 They're less expensive(for Noctua) PWM fans that aren't the normal ugly Noctua tan/brown combo. The colours are certainly better than the tan ones but it still wouldn't have matched my build anyway. Woah that monitor is looking nice. I plan on using freesync, instead of G-Sync because the monitors that support G-sync are just really expensive, if it was cheaper I would get it. Weird airflow and fans orientation. Nice parts. It's mainly due to the hybrid GPU. I had to put the radiator out front as an exhaust. The 140mm is an intake as well as the two 120mm fans at the bottom. The CPU cooler exhausts from the top. There is a LOT of room in the case so ventilation is not an issue, even with a second graphics card in the future. That monitor is glorious. The build is nice too. Crazy build…but that build stand is far beyond…freaky! Very intuitive. I am planning to dabble in water cooling at some point in the future. As per EK, the cooler is upgradeable to a water-cooled setup. Are you able to max out the frame rate on that monitor with a single 980ti on most titles? I figure Witcher 3 might take a 2nd 980ti to max out, but what about everything else?